I’ve never been a fan of long meetings cramped up in offices. The aversion probably comes from countless stressful nights spent in boardrooms in the early days of Virgin, convincing the bank not to shut us down. Living up to my love of screwing business as usual, I like to take a different approach to meetings. 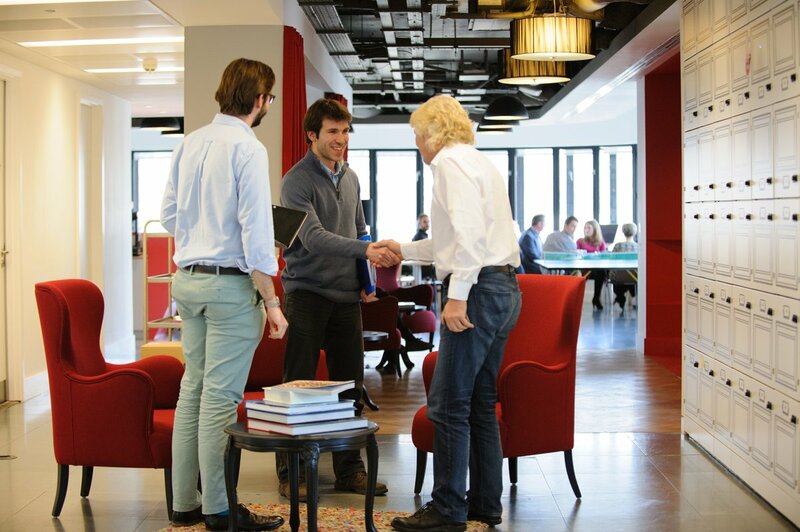 One of my favourite tricks is to conduct most of my meetings standing up. 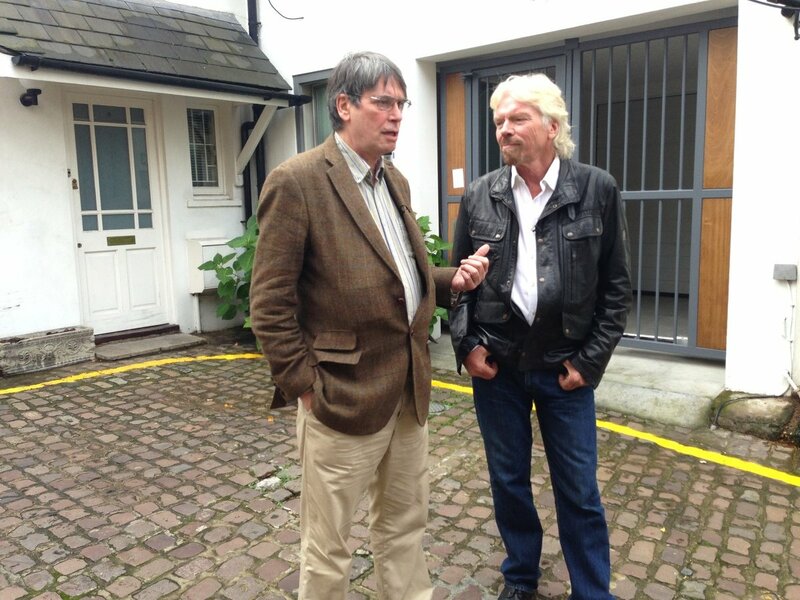 I find it to be a much quicker way of getting down to business, making a decision and sealing the deal. 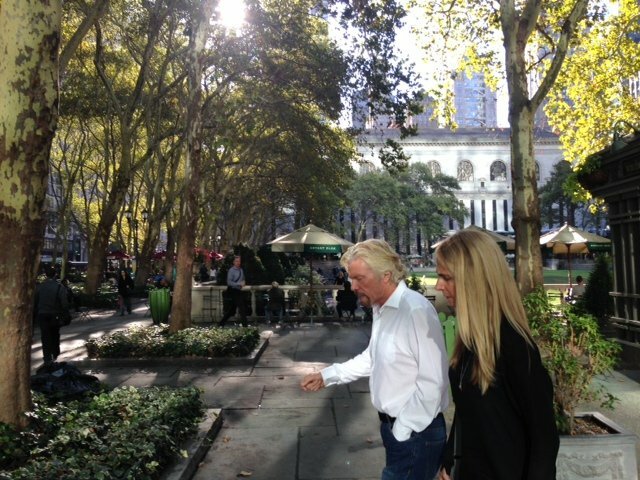 When given the opportunity I often like to take things a step further – literally, with a walking meeting. I sometimes even set myself a personal challenge of trying to come up with a plan of attack in the time it takes to walk around the block… five minutes, go! In London I used to enlist collaborators on a stroll around the canals of Little Venice. The edge of the lake is a well-trodden path in Kidlington. While walking meetings on Necker come with an ocean view. There must be something about water that gets my creativity flowing. A lot of time is wasted in meetings. Agendas get forgotten, topics go amiss, and people get distracted. While some circumstances call for workshops and more elaborate presentations, it’s very rare that a meeting on a single topic should need to last more than 5-10 minutes. If you stand up, you’ll find that decisions get made pretty quickly, and no one nods off! Plus it’s a great way to fit in a bit of exercise and stay focused on a busy day. Another positive about meetings outside the boardroom is a lack of fancy tools, and instead an emphasis on real communication. If anybody ever puts the words they’re about to tell me up onto a screen, I’m tempted to walk out. Pictures yes, but PowerPoint presentations absolutely no! Do you have a tip to make meetings more productive? I’d like to hear it in the comments below.